The Yanghe Spirit Classic series targets the mid-price part of the market. We employ centuries-old fermentation techniques to create the traditional sweet, mild, soft, clean and fragrant Yanghe flavor, on which a unique mellowness and quiet elegance is built. As soon as it was launched in the market, it became our best-selling products. Nowadays, it is also the best-selling spirit in China, compared with those supplied at same price. Dream Blue is our high-end series. 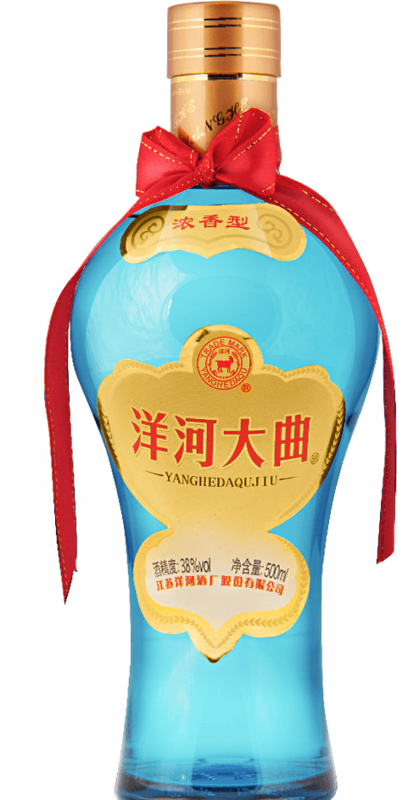 Carrying on traditional craftsmanship and distilling techniques from ancient Yanghe, we use base liquor stored for centuries underground as flavoring, strictly controlling every step of the production process. The products are strong but not overpowering, gentle but not weak. The taste, bountiful and harmonious, unfolds slowly and ends with a clean finish. The two representative products are produced in Yanghe and Shuanggou separately with their own characteristics. Through the two vintage products, you can taste the traditional Yanghe mellow and the unique Shuanggou thick flavors.